To combat one of the biggest expenses families face — food costs — take advantage of every bit of leeway your local supermarket offers. Jeanette Pavini, savings expert for Coupons.com, told us moms can get more control over their budgets by planning meals around sales. “By simply building their weekly meal menu around what’s on sale at the grocery store, using reward/loyalty programs and coupons, you can save up to 40 percent on your grocery bill,” she said. Part of being a parent is accepting the huge responsibility of protecting your family’s financial future. According to Emma Johnson, founder of WealthySingleMommy.com, that starts with addressing your own personal finances. Cooking a family dinner at the end of the day can be stressful, but a well-stocked pantry can make this task easier, healthier and more affordable. So just what is a “well stocked pantry”? And if you don’t end up using them, “you can simply donate the hand-me-downs you don’t want,” McDaniel said. 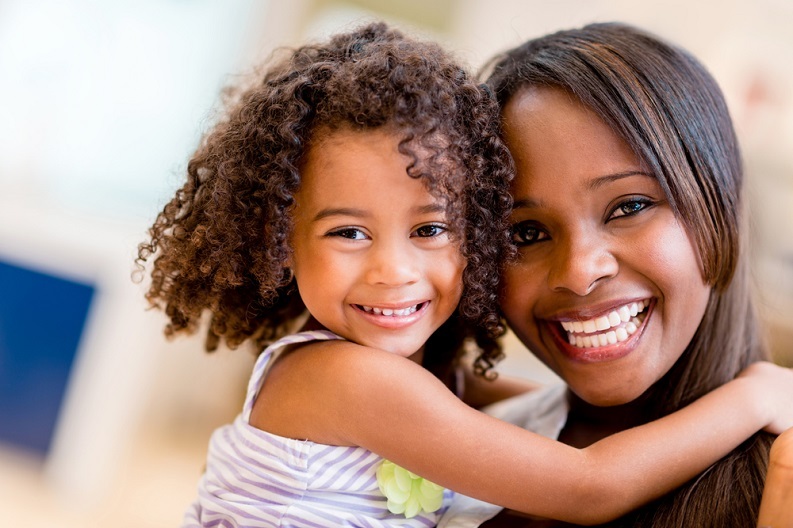 Stay-at-home moms can earn some income by providing licensed day care right in their own homes. Marie Phillips at Family Money Values told us she did this back in the ’80s to pay for her education expenses (she went back to school to become a computer programmer). Not sure how to invest the funds? “Put your savings in stock index funds or ETFs through a discount brokerage account,” she recommended. Your local library is chock-full of free resources and activities for the entire family. “Moms can bring the kids to take out an armful of children’s books or partake in story-time activities,” said Susan Kessler, aka The Frugal Diva. The parents don’t have to leave empty-handed either. “You can pick up a movie to take home, a book for a DIY project or a novel for when the kids are sleeping,” she said. Additionally, “Install a browser extension like Priceblink, which automatically searches the web and displays better prices at competitive retailers before you add a product to your cart. I’ve saved a fortune using it,” Gumbinner told us. “It avoids the battle in the store, helps kids be thrifty right from the start and helps parents save on impulse buys,” she told us. Slickdeals deals editor Amanda Tollis knows how to time her shopping just right. “Buying the next size up for your children in apparel or shoes while in the off-season or late season can score you deals that are hard to beat even in a second-hand shop,” Tollis said. Sheiresa Ngo, who provides personal finance advice at The Cheat Sheet, told us parents can “make some quick cash by reselling your child’s old books, clothes and toys.” Ngo recommended setting up an online shop on a site like Amazon, eBay or Swap.com. Forget skipping your daily latte — it’s your Target habit that could be keeping you from reaching your savings goals. Patty Kennedy, blogger and CEO of marketing communication agency Kennedy Spencer, told us she was sick of reading tips like “cut your coffee,” especially when “for many moms, coffee is a matter of survival.” An easier way to cut down spending: Avoid the red bullseye. Unfortunately, unexpected events can leave your family financially insecure. Cofounder of Aspire Canada Keisha Blair has first-hand experience with this. Most of us have heard of investing in the stock market, but investing in groceries? Teri Gault, CEO of The Grocery Game, explains. Whether you have one child or many, your household likely flies through items like paper towels, toilet paper and tissue. These supplies can be expensive, unless you follow this tip from Tangela Walker-Craft of Examiner.com. “Plan ahead and stock up on products that are popular in your home when they’re on sale,” she told us. You might have to get creative with storage, but the savings are worth it. Side jobs can give many parents the opportunity to save money, bring in extra income and build a business. Heather Stephens, manager of the FatWallet blog, has some ideas on how to do this. Dr. Cynthia Bailey, president and CEO of Advanced Skin Care and Dermatology and a seasoned mom of now grown children, is a strong supporter of the sack lunch. She started this tradition when her kids were young, keeping the pantry well-stocked with lunch food and treats they could look forward to. Not only was this a way of keeping her own household expenses low, but it also taught her children a valuable life lesson. If this concept feels a little terrifying, just listen to what Cherie Corso, a parenting and lifestyle expert, has to say about it. Sometimes cutting expenses isn’t enough to make ends meet. Parents who take time off to raise children can still find ways to keep one foot in the workplace and one in the playspace. Gaby Merediz, who owns Tmuffin, a kid’s playspace, and Make Your Perfect, an online community for moms, told us crowdsourcing can be a great platform for a side income. According to The King’s Care blogger Abisola Osho, many grocery stores will match competitors’ sales. “If you have a favorite store but the price is not the cheapest, ask them if they price-match,” she recommended. Lauren Mendel, financial planner for MilitaryPlanners.com, offered up some unique advice on how parents can save more money. When she dines out with her toddlers, Mendel brings snacks from home to keep them busy and fill them up before the food arrives. Fields also gave us some simple guidelines to help novice investors keep their money growing no matter what happens in the stock market or economy. “Look for investments that 1. carry no market risk (yes, they are out there), and 2. have no risk of rising taxes eating away or destroying your wealth and your plan for retirement,” she said. Torabi pointed out a stat Sheryl Sandberg mentions in her book, “Lean In”: Women’s average annual earnings decrease by 20 percent if they are out of the workforce for just one year, 30 percent after two or three years. Au pairs (live-in nannies who are typically from other countries) aren’t necessary limited to the wealthy. Summer Blackhurst writes for Go Au Pair and is an expert on the costs of child care in the United States. She says if you have two or more children, an Au Pair can cost half of what traditional day care expenses would be. Not only do parents save on child care costs and gas from driving to and from day care centers, but it’s less stressful having a child care provider in the home who can help in the morning, prepare meals at night and even assist with light household chores. These moms and dads have mastered their money.